1.) DIY Faux Ceramic Pumpkins – This project was one of our own that we completed last year after we saw the ceramic Pottery Barn Pumpkins while shopping. We wanted the ceramic look, but with our own fun designs and of course at a fraction of the cost. It is an easy project to complete, but make sure to set aside a little time as the carving of your craft pumpkin can take time depending on the design you choose. Click here to see the complete instructions. 2.) 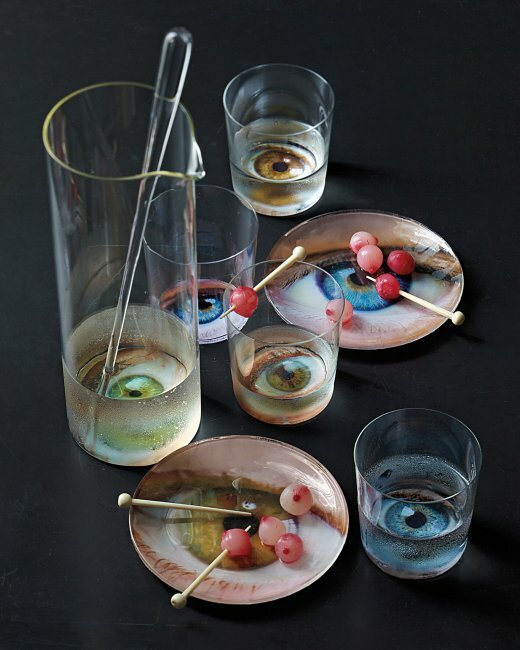 Eyeball Tableware and Blood Orange Cocktail Labels – We love Martha Stewart and we love the creepy vibe this eyeball tableware gives off. 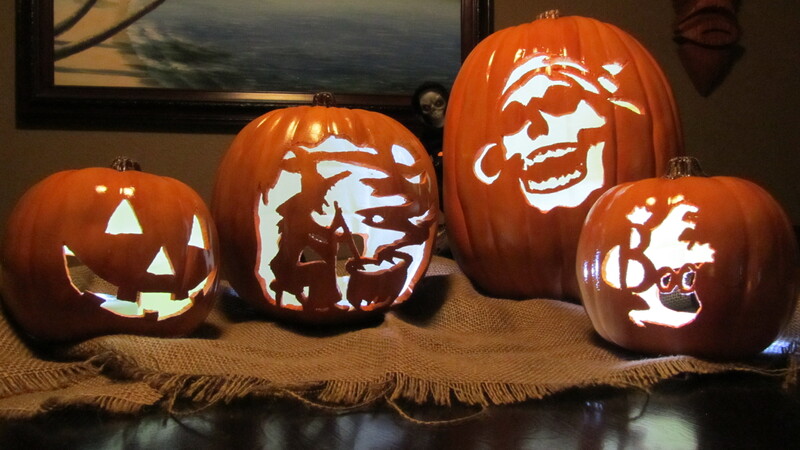 Complete this project for some added fright to add to your Halloween Party. 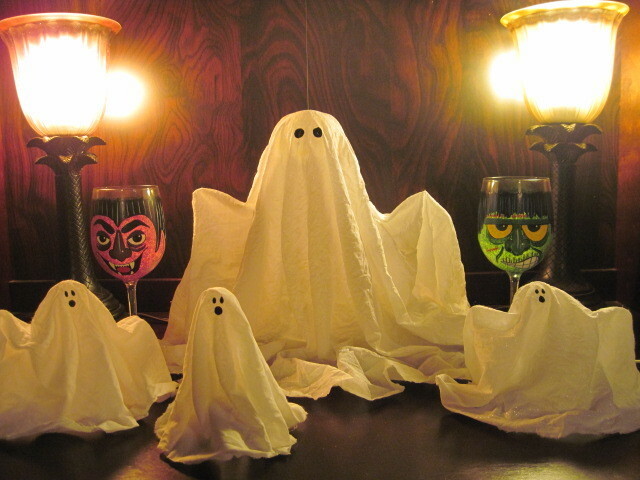 Guests will surely be creeped out when served treats on these. Click here for the full instructions. 3.) DIY Ghostly Ladies for the Yard – This was another one of our projects from last year and they were a huge hit with all the neighbors. They have a faint glow to them once the sun goes down. This makes them hard to see in the dark, but not invisible. They catch your eye and really do look like ghosts floating through the yard. Click here for the how-to. 4.) 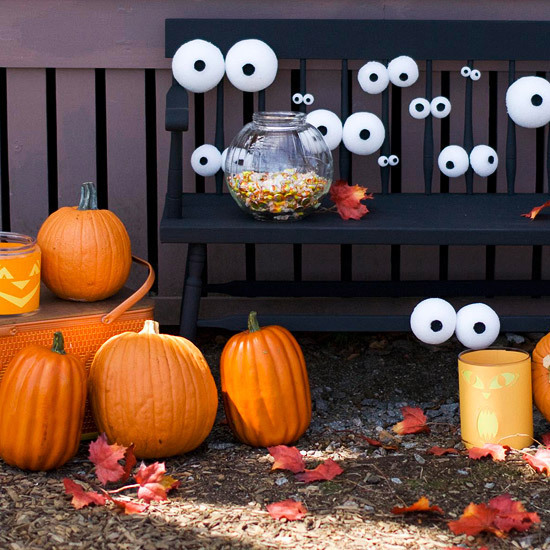 Ghoulish Glaring Eyes – We found this project on bhg.com and think it makes the perfect addition to your outdoor decor. Place the eyes peeking out of the bushes so people will wonder what creatures lurk beyond the leaves. Click here for the DIY. 5.) 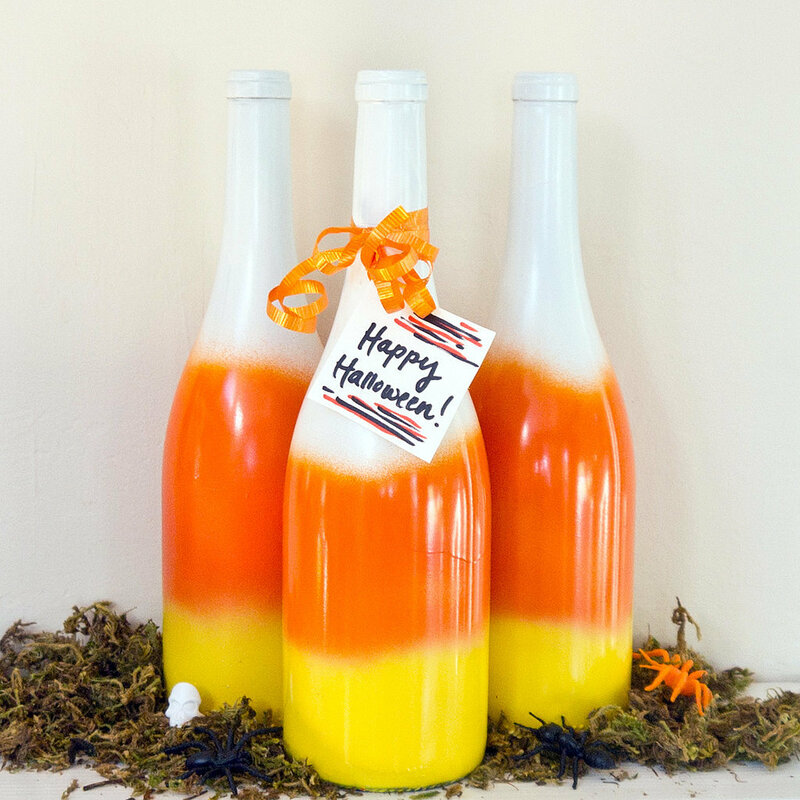 DIY Candy Corn Wine Bottles – We all know we are always looking for something to do with those extra wine bottles. Well here is the perfect fall solution for that problem. Hop on over to PopSugar to learn how. 6.) 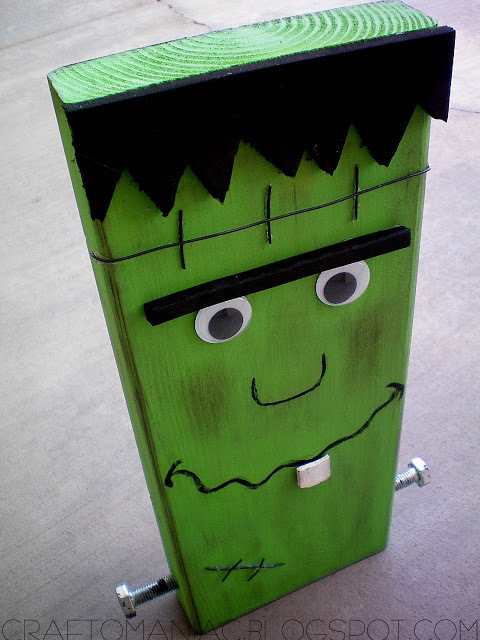 Halloween Block Project – We love this Frankenstein monster made out of a block of wood. We found this on Roberts Arts and Crafts. It is a quick and easy project and the options are really endless. Using the basic idea of this one and a little imagination you could go on to create even more movie monsters. Click here for the full DIY. 7.) 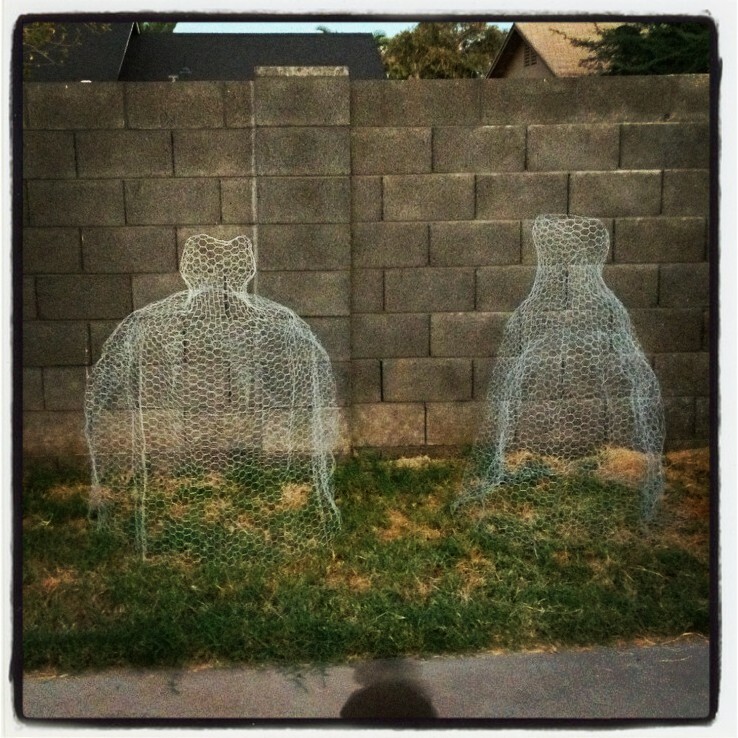 Spiffy-Stiffy Fabric Ghosts – Maybe you want to work with fabric rather than chicken wire from our above ghost DIY project. If so then this project is for you. Head on over to Kudos Kitchen for the full instructions. 8.) 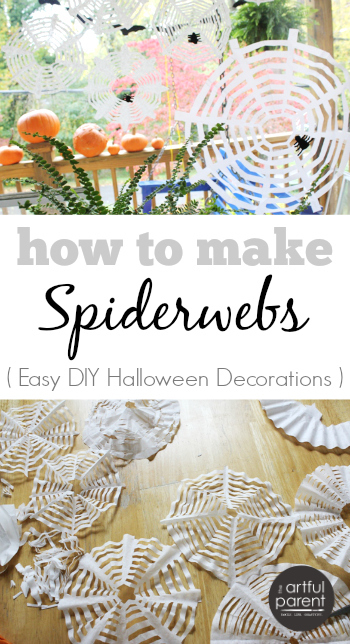 Coffee Filter Spider Webs – Halloween is not complete without hanging a few spiderwebs around the house. If you don’t want the store bought kind you can create your own using coffee filters similar to the way you would make a snowflake. To learn how click here to head over to The Artful Parent. 9.) 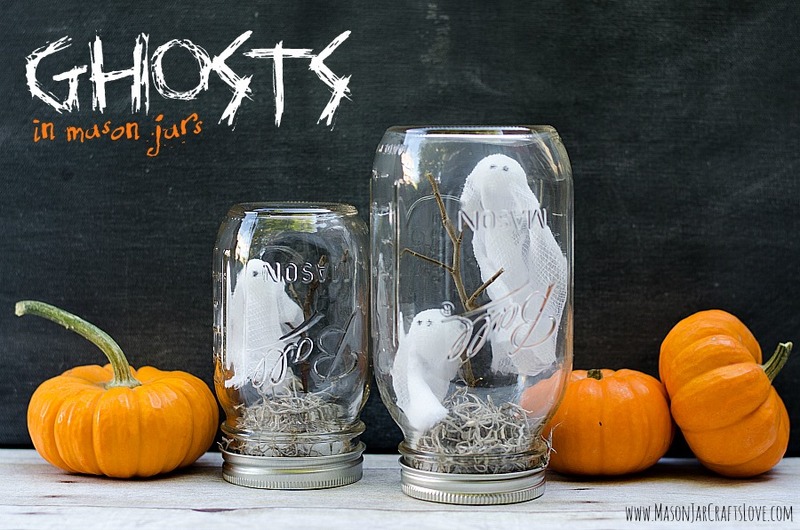 Ghosts in Mason Jars – There are so many mason jar projects out there that we just had to include one and we thought this project from Mason Jar Crafts Love was the perfect addition to our list. Click here for the how-to. 10.) 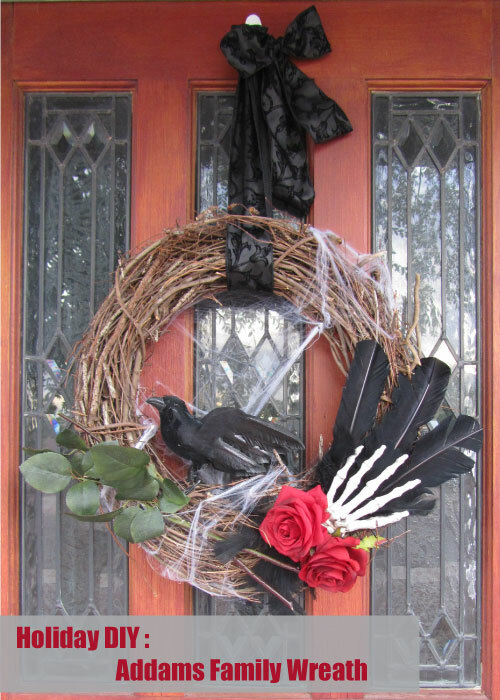 Addams Family Halloween Wreath – We know, we know. We just made this the other day, but we love it so much we just had to include it in our list of favorites. If you missed it last week, click here to check out the complete instructions.